Summer is in the air in Charlottetown! Patios are popping up everywhere, people are swarming to the park, and you can feel that contagious summertime energy throughout the whole city. This small, but charismatic city packs a big punch when it comes to things to do during the summer, offering a wide range of activities that will easily keep you busy and put a smile on your face. Both day and night, Charlottetown during the summer won’t disappoint – think live music, rooftop drinks, theatre, farmers’ markets, charming architecture, cultural events, and mouth-watering food. If you’re planning on spending time in PEI’s capital this summer, check out the list below to discover some of Charlottetown’s can’t-miss experiences. Indoors or outdoors, night or day, on land or in the air, there’s something for everyone. Come and enjoy a one-of-a-kind meal at Top of the Park restaurant at Red Shores, which overlooks the Charlottetown Driving Park. Stick around for dessert and after that head over and grab a seat at the racetrack to watch live horse racing, which has been an Island tradition since the 1980’s. The biggest race during summer is the prestigious Gold Cup and Saucer, which is held during Old Home Week in August and referred to as the Kentucky of Canada. Ready, set, go! Charlottetown is known for its incredible food, and the city now has more amazing restaurants than ever before. However, after eating out a few times in town, you might be interested in learning the tricks of the trade yourself. Referred to as the ultimate Island culinary experience, Holland College’s Culinary Bootcamps will quickly have participants cooking up a storm with local Island ingredients. All you have to do is come, cook, and crEATe. Classes are either half days or full days and take place at the state-of-the-art Culinary Institute of Canada. Choose from different culinary bootcamps, including Munch on Brunch, Street Eats, Sweet Tooth Factory, and Island Flavours. Culinary bootcamps are the perfect way to spend the day for any foodie, especially when on Canada’s Food Island. Get your bowling shoes on and then later in the evening slip into your dancing shoes, as The Alley is a perfect combination of bowling alley and bar. Newly renovated in 2016, The Alley has a popular food menu, a great craft beer selection, 14 glow lanes, karaoke on Thursday nights, and sofas at the end of the lanes that allow you to sit comfortably with food and drink. Located in Murphy’s Community Centre on Richard Street, The Alley is just a hop, skip, and a jump away from charming Victoria Row. Head out on Charlottetown’s glistening harbourfront water to see the city from a different angle, and to work off some of that amazing food you’ve been eating. Operating from mid-June to September, Paddles PEI rents paddle boards and kayaks to those eager to cool off on the water. For a great afternoon in Charlottetown, try your hand at paddling around the Charlottetown Harbour or kayaking along the coastline of the Hillsborough River and around Victoria Park. There’s no doubt about it, Charlottetown is a great place for craft beer enthusiasts, and the scene here is continually expanding. The PEI Brewing Company is a great starting point. Complete brewery tours lasting 45 minutes, start at $15.00, include two tastings and a 355ml can of Beach Chair Lager. It’s first-come-first-served as no reservations are required. The Brewing Company has a variety of delicious flagship beers, as well as seasonal summer beers. A favourite of Islanders and tourists alike is the fruity blueberry ale, which goes down easily on a hot summer day. The craft beer industry on PEI started with the PEI Brewing Company/Gahan House, and has now expanded to include five Island-wide breweries. The birthplace of confederation is famous for its selection of musicals and theatre. Show season in Charlottetown is primary during the summer and attracts visitors from far and wide. There are renowned theatres and events all across PEI, as this little Island is filled to the brim with talented performers. In Charlottetown, head to The Mack, The Guild, or The Confederation Centre of the Arts and choose from spectacular shows such as Anne and Gilbert, Island Blue – a Celebration of East Coast Songwriters, Jesus Christ Superstar, and the Island classic, Anne of Green Gables – The Musical, which is in its 54th season. Located on Grafton Street, Small Print Board Game Cafe is Charlottetown’s first board game cafe. No matter your age, it’s a great place to come and have fun with family and friends and get a little silly. Since it’s opening in 2016, the cafe has quickly gathered a cult-like following of game board enthusiasts. It boasts over 300 classic and modern games, as well as gourmet coffee, craft beer, and snacks. Let your inner-child loose. Victoria Row is one of Charlottetown’s most well-known gems. Located on Richmond Street in the middle of the city, the street is closed to traffic during summer, which creates the car-free pedestrian paradise of Victoria Row. Some of Charlottetown’s best restaurants, souvenir shops, and cafes are located on this lovely strip, making it a great place for shopping, dining, and people watching. There is live music every night on an outdoor stage, featuring some of Charlottetown’s finest musicians. Hop on one of the public picnic tables for a game of checkers and let your diner digest. After dark, the Row turns into one of the city’s hottest nightlife destinations. If you arrived by either the ferry or via the Confederation bridge (both wonderful experiences), you certainly won’t want to miss seeing PEI from above. Take a seat in one of Green Isle’s helicopters for an unforgettable birds-eye-view of Charlottetown, as well as of the Island’s red sandy shores and rolling hills, and watch as PEI turns into a uniquely-stitched canvas. Tours vary in price and duration, with ten-minute tours starting at $99.00 and requiring a minimum of two people. Operating from early June to November 1st, Green Isle Heli Tours is located at the bottom of Weymouth Street near the Charlottetown Marina. Bring your sense of adventure and don’t forget your camera! 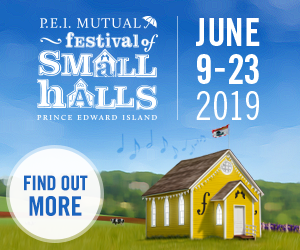 For more tips on where to go to have fun and eat well in PEI, check out Festival Roundup, Best Restaurants with a View in PEI, and What the Locals Say You Can’t Miss. Evan is a photographer, travel writer, and freelance journalist from Charlottetown. He has a degree in print journalism, a diploma in journalism, and over the last 10 years he's spent time on six continents and has traveled for more than 1,100 days. Despite having spent a good chunk of time on the road, he's always drawn back to the beauty of Prince Edward Island. He’s a regular contributor to The Buzz and Salty - The Island's Food Digest, as well as to numerous online travel publications, focusing on food and culture. Find him in Charlottetown eating curry, playing ultimate frisbee, snappin' photos, or cycling around. Check out his photography at www.evanceretti.com, on FB @EvanCerettiPhotography, and on Instagram @evanontheroad.